Let's go back to basics and enjoy the authentic and original taste of the poppadoms! Lightly seasoned with salt, cumin and carom seeds, we put a lot of love and care into each bite too! 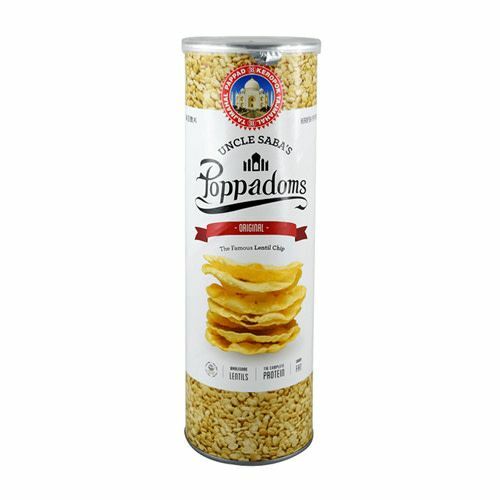 Let the original taste of the lentils speak for itself with Uncle Saba’s Poppadoms ORIGINAL flavour! Don't forget to enjoy the great and traditional taste with your family and friends! Crispy, crunchy, and simply irresistible!